Ethan practices with Preti Flaherty’s Business Law, Municipal Law and Public Finance groups from the firm’s Portland office. He focuses his practice on a wide range of matters, including contracts, business start-ups, LLC and partnership agreements, mergers and acquisitions and general business issues. Ethan contributed to the Maine Chapter of the American Bar Association's Sales and Use Tax Desk Book 2016-2017 edition. 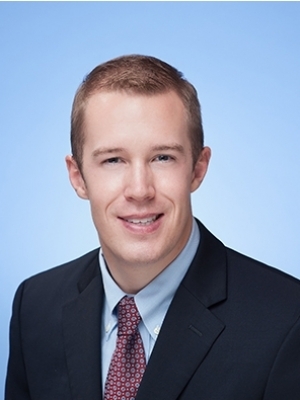 Ethan is a graduate of the University of Michigan Law School and Northeastern University with a degree in Economics. While in law school, Ethan served as a Notes Editor for the Michigan Business & Entrepreneurial Law Review and a clinical student in the University of Michigan’s Transactional Lab, where he worked with in-house counsel on transactional matters. Prior to joining Preti Flaherty, Ethan interned at the United States Department of Justice in Washington, D.C., working in the Civil Division, Torts Branch, Aviation & Admiralty Litigation Section. A native of northern Maine, Ethan currently resides in Portland.